By Sian Long | March 20, 2018. 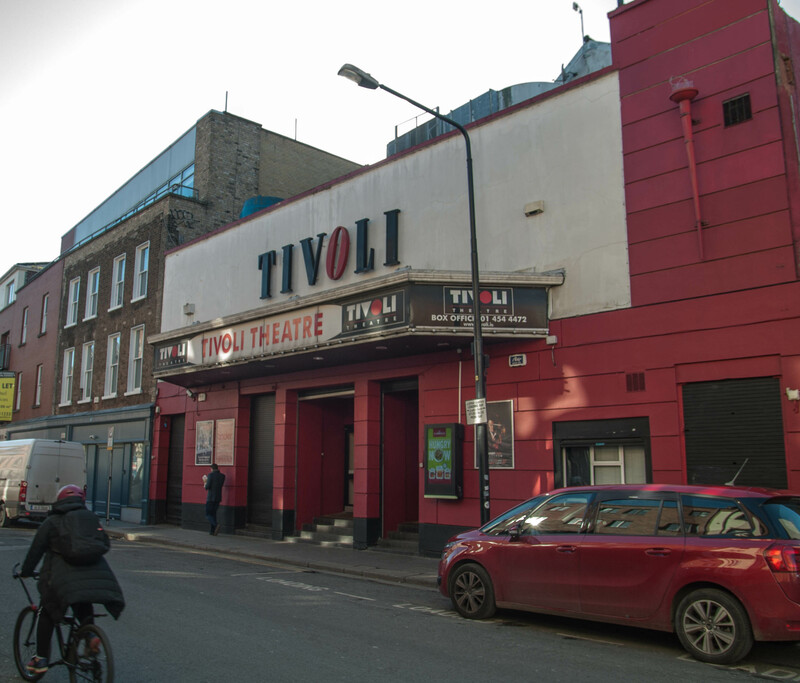 Local councillor, Tina MacVeigh has expressed concerns for her constituency following a decision made by An Bord Pleanála which will see the demolition of Tivoli Theatre and in its place, a 289-bed apart-hotel. The plan was originally turned down by Dublin City Council last year, but the decision was recently overturned by the appeals board in January. The approval was granted subject to the omission of a proposed fifth floor. Dublin City Council also asked theatre owner, Anthony Byrne to ensure that the graffiti on the grounds of Tivoli be curated by photograph, which should be taken by a professional photographer. The plan also includes a restaurant/bar and an entertainment area. An enduring fixture of Francis Street life, the cine-variety theatre opened its doors for the first time in December 1934 having moved from Tivoli’s first home on Burgh Quay. The theatre has catered for events and acts across the board, from cinema, to the Cranberries, from Blur to the Beastie Boys and from theatre to techno. People Before Profit councillor Tina MacVeigh opposed the plan and described the demolition as “a blow to our cultural infrastructure”. According to the councillor, one of the reasons given in favour of the demolition at the An Bord Pleanála review was that the area already has a music venue. During the planning process An Taisce also expressed concern that a new theatre or cultural space be incorporated into the new development. “Since there was an existing cultural use here for many years, it’s only right that some new cultural use would be provided,” the organisation said. An Taisce has said that there is an “oversaturation of aparthotels”. With the new student accommodation being built on Thomas Street, An Taisce have said that the Liberties is subject to a “high concentration of apart-hotels and student accommodation currently in planning, under construction or recently built”. The organisation say that this is “not sustainable” and that “more affordable housing is needed”.